Darius Lakdawalla is the Quintiles Chair in Pharmaceutical Development and Regulatory Innovation at Schaeffer Center for Health Policy and Economics, as well as a Professor in the Sol Price School of Public Policy at the University of Southern California. 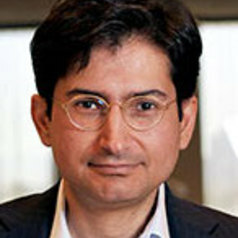 His research has been concerned with the economics of risks to health, and the organization of health care markets. In particular, he has published studies exploring the reasons behind the declining use of nursing homes by the elderly, rising rates of obesity in America, acceleration in the rate of new HIV infections, and the surprising growth in disability among younger Americans. Dr. Lakdawalla received his Ph.D. in Economics from the University of Chicago and his Bachelor’s Degree in Mathematics and Philosophy from Amherst College. His work has been published in leading journals of economics, medicine, and health policy. He is currently a Faculty Research Fellow at the National Bureau of Economic Research, in Cambridge, Mass., and the former the former Director of Research at the Bing Center for Health Economics at the RAND Corporation.